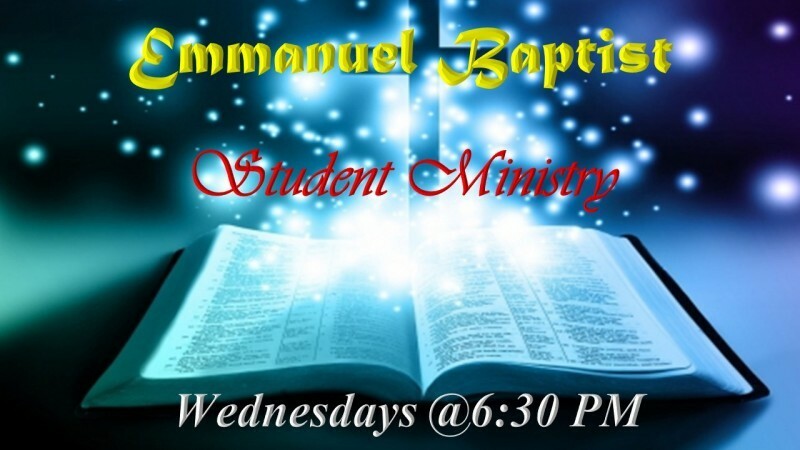 The Emmanuel Southern Baptist Youth Ministry is for students in Grades 6-12. This group meets on Sunday Mornings at 9:30 and on Wednesday Evening at 6:30 PM. When the group meets there is a Bible Study, activities, games, and a time for prayer for the concerns of the group. The youth have tackled a number of issues like, "Why am I here? ', "What am I worth? ", and "Why should I pray?" The group also meets monthly to go and do something outside the church, like skating and mini golf. In September of 2018, this group began the Gospel Project which goes through the entire Bible chronologically in 3 years.